It was great to see our latest member of the team and apprentice jockey Luke Catton getting off the mark with only his second ride for us. He partnered Balata Bay at Kempton who burst through to win inside the last half furlong. They have struck up a good partnership together and Luke is already proving value for his claim. The runners are coming thick and fast now. We sent out five runners at Windsor on Monday with Days Of Glory winning the Novice race over a mile and quarter and Mr Tyrrell breaking his maiden tag by the narrowest of margins under Ryan Moore. Mr Tyrrell is such a lovely horse and has been close on so many occasions it was really pleasing for all involved. 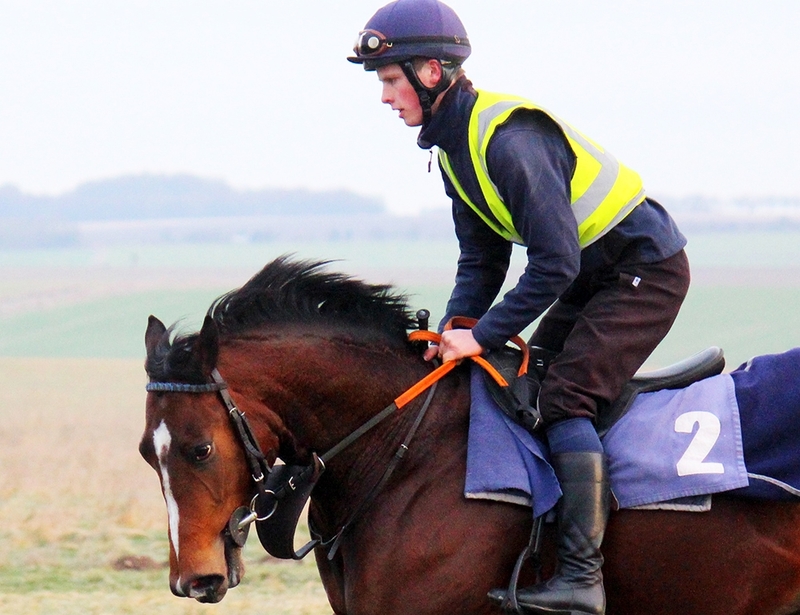 Our first two year old runner of the year was Lexington Quest for Middleham Park. By Ivawood out of Serenata, he is a lovely colt and bred for a mile trip in time. Relaxed in the prelimiaies he showed a great attitude on the track and will be much sharper for that run. It’s another action packed afternoon and evening with nine runners across the country. As you may have read in the Racing Post Stable Tour yesterday King Of Change is a smashing colt and should go onto compete in some good races over the course of the season. Masaru looks to have a been found an ideal opportunity at Kempton and fingers crossed Fox Happy can end the day with a winner for Thore Hammer Hansen.